Twenty six lawyers in Ontario and the U.S. have notified us that they received an email from the purported Akemi Baker looking to retain them with regards to a collecting overdue payments resulting from a separation agreement. Thank you very much for your prompt response to my email inquiry. 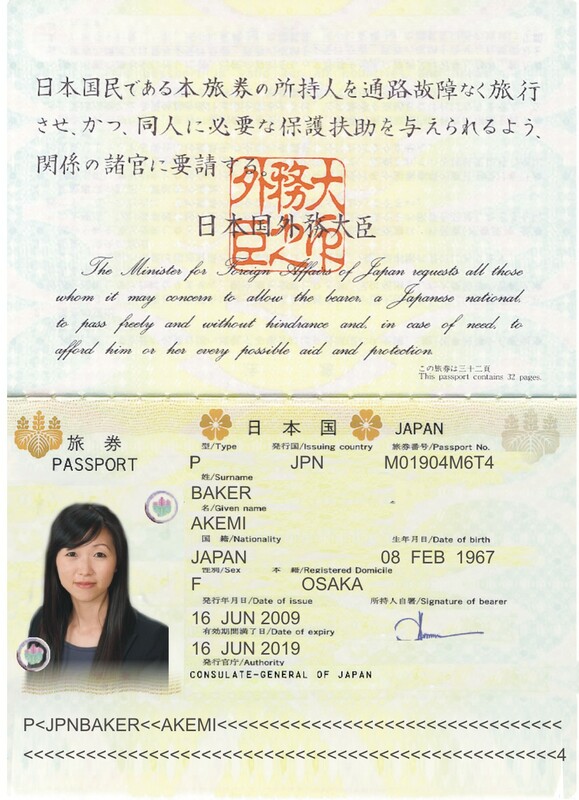 I am Ms. Akemi Baker, I live in Japan, while my ex husband, Miller Baker, lives in Russell Springs, KY. It’s a little bit difficult to reach your office on phone as a result of time difference. Our Marriage was dissolved in Japan, but my ex husband, relocated to the United States. He is a citizen. We both agreed under a payment of family settlement incorporated, merged into and made part of the court decree for a Settlement. He has paid $188,600.00 from the total amount of $691,800.00 but still owing $503,200.00 and the stipulated time for completion of payment has long elapsed. In the light of this, I had to contact your firm to request your legal services to enforce the court order compelling him to remit balance owned to me. Please find a copy of the terms of Separation Agreement and Decree of Divorce attached. I expect this to be resolved in a timely manner. Finally, kindly send me a copy of your retainer agreement and if the terms are acceptable, I will sign so we can commence the process without delay. Again, thank you for your anticipated cooperation and professionalism. God bless you. They tried to get to me as well. Because I am in legal social media circles I also get the same solicitations as attorneys because the scammers can’t define the difference. I have a blog about it with the email and the passport used in the communication. Thank you very much for your prompt response to my email inquiry. 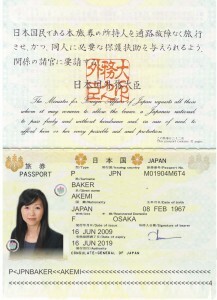 I am Ms. Akemi Baker, I live in Japan, while my ex husband, Miller Baker, lives in Medina, OH. It’s a little bit difficult to reach your office on phone as a result of time difference. Our Marriage was dissolved in Japan, but my ex husband, relocated to the United States. He is a citizen. We both agreed under a payment of family settlement incorporated, merged into and made part of the court decree for a Settlement. He has paid $188,600.00 from the total amount of $691,800.00 but still owing $503,200.00 and the stipulated time for completion of payment has long elapsed. We’ve gotten this inquiry, as well. After a response, we received the attachment above, along with purported copies of a decree and of an agreement. Let me know if you want copies. I have the copies and likely others here as well. In English no less. I can’t imagine a bigger waste of time spent on these scammers because there’s another 2 minutes away. I just got this email like an hour ago and here is what the email says. We received the same email as well. Here it is. My name is Akemi Baker and I am currently in Japan for an assignment. Thanks for your response to me email inquiry. My ex husband Miller Baker and I were divorced in Japan but he has since relocated to the United States (Chicago, Illinois). He is a citizen. The legal description of my case involved both of us agreeing under a Property and Settlement agreement incorporated, merged into and made part of the final judgment of dissolution of marriage for a settlement of child support, spousal support, and medical support of $691,800.00, of which $188,600 has been remitted by him leaving a balance of $503,200.00 to be paid. This is the reason why I contacted your firm as there is already an agreement in place. I know for sure my ex husband has the financial means to pay for balance he owes me. Thus, I request your legal services to enforce the court order compelling him to remit balance owed me. Attached for your perusal is a copy of the Property settlement agreement, and the Court’s Decree and I will be pleased to provide further information on this case on request. I expect this to be resolved in a timely manner. If you want to take up this case, kindly send me a copy of your draft agreement and if the terms are acceptable I will sign so we can commence the process without delay. Please provide details of the case/matter, and we will be able to determine if we can help you. I got the same email and documents. I wrote back and told her I needed a $50,000 non refundable retainer, that I would not accept personal checks, but needed wire transfer for that large and amount, that she would have to front all costs, and that any recovery made would only be transfered after my bank had verified the funds were available, that the account on which the check was drawn on was a valid account, and that I would only disburse any recovery via check, not wire transfer. That seems to have stopped the emails. I have received this solicitation and follow up emails from her. She has sent documents “translated” etc. However, when I asked her about inconsistencies in the documents she seemed to back off. Anyway – I am glad your website had this posted. After much agitation, I came to a conclusion to your legal services with regards to compelling Baker to remit balance court settlements of child support/medical support funds owed to me. We Had a Property Settlement Agreement for a one-time settlement of Family Support and Property Division in the amount of $691, 800, 00, he has paid me $188,600.00 but still owing $503, 200, 00 and the stipulated time for completion of payment has long elapsed. Baker has got the financial means to pay the balance set forth in our settlement agreement attached but consistently failed in every effort I employed into make sure he remits the balance. Practically will not be able to come for an in-person consultation reason been my absence, My ex still lives in Las Vegas, Nevada while myself and the kids lives in Beijing. If you will send a copy of your daft retainer agreement I will have a preview of your terms and fees so we can commence the process without delay.I will also be pleased to provide more information on this case; I expect this to be resolved in a timely manner.